Bal Harbour Island homes are located right off Collins Ave and 101st street. It is one of the most exclusive gated community conveniently right in the back of Bal Harbour Mall, so you can walk to the mall right from your home. This area is well known for its ultra-luxury waterfront homes, situated directly on the open bay with fantastic open bay views and minutes from the entrance to the ocean. This area is considered a boaters paradise because of its close proximity to Atlantic ocean. Bal Harbour Real Estate offers both ocean front condominiums and single family homes. The Bal Harbour waterfront single family homes are considered to be some of the most sought after pristine real estate in Miami Beach. This community offers marina, 24 hours security, community club and amazing views of the wide bay. 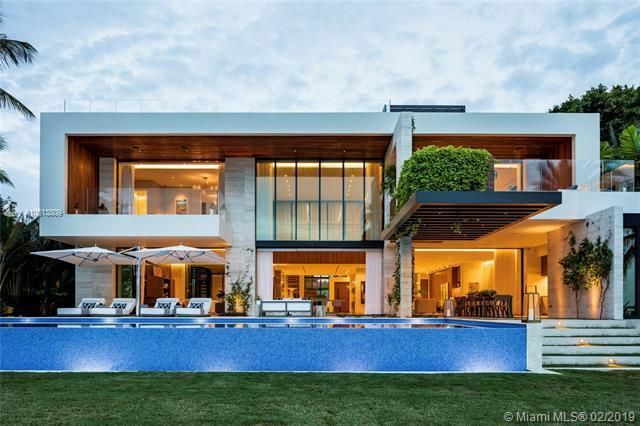 Bal Harbour homes for sale come in various sizes from modest three bedroom homes to large luxurious residences that are situated on the wide open bay. There are numerous single family homes available on dry lots as well. However, no matter where you choose to live in Bal Harbour, the water is all around you. The shopping and dining experience in Bal Harbour is second to none. The area offers great dining and some of the best boutique shops in the world. Bal Harbour homes are an ideal area to raise your family, for those who want to have all best sides of modern city living while experiencing never ending excitement of Miami Beach and South Beach.